Alright, so it’s no secret, the latest Fantastic Four film was garbage. There are plenty of reports talking about how things behind the scenes lead it towards disaster, but regardless of what caused it to be what it became, it has certainly tarnished Marvel’s first family for many movie goers. At least as comic fans we can remember back fondly on so many wonderful adventures over the years that the four had. 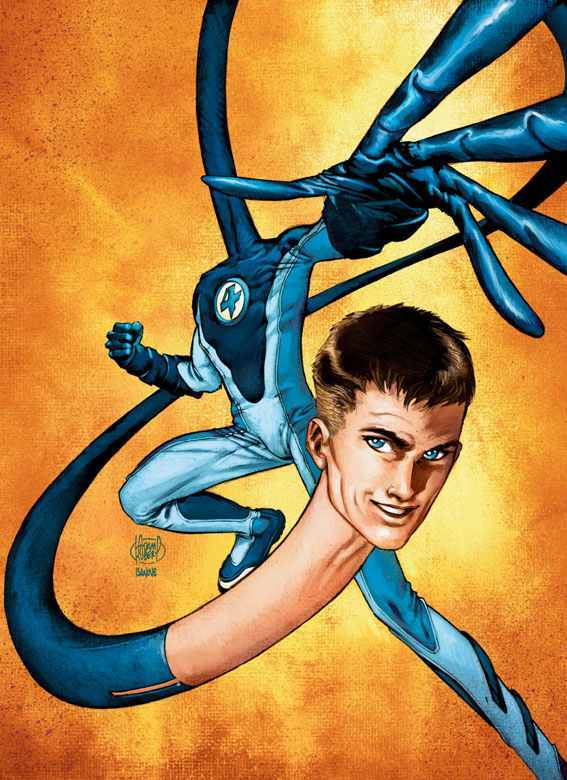 In fact, thinking about how boring their film costumes were this go around, we flipped through some of our favorite Fantastic Four comics and decided it was time to finally look at them under our costume related microscope starting with the leader of the team and family, Reed Richards. Having been around longer than any other Marvel series, the team has seen many different costumes throughout the years, though their classic suits have been the biggest mainstay. We looked at Reed’s costumes from the 616 and Ultimate universes, as those both had a plethora to choose from. Below you will find out top picks for his costumes over the years. As always let us know your favorites in the comments below! 5. 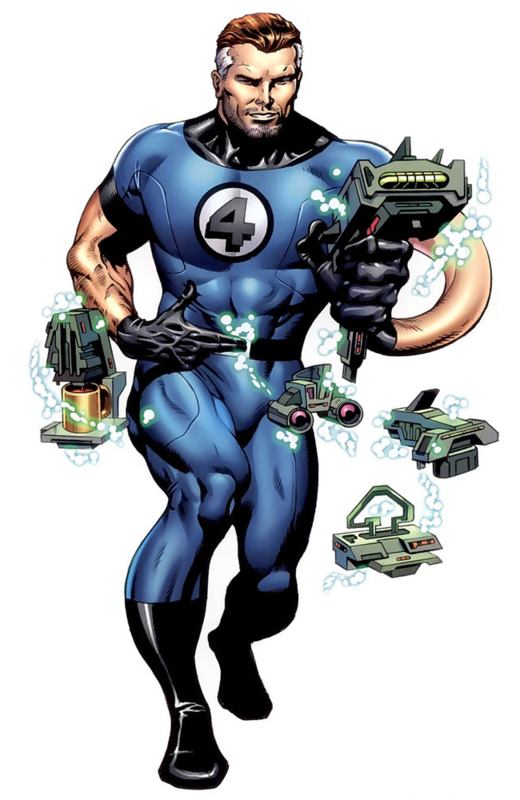 Heroes Reborn: Along with a whole new pocket universe to start their origins from scratch, the Fantastic Four also received brand new costumes for the new world. They took design elements and the color pallets of the original costumes and made them something just a bit different. While aesthetically we do enjoy it, we’re not quite sure what the dark blue is supposed to be doing; it almost looks like it is forming a 4 or F, but doesn’t quite do either. The four on the upper shoulder was a nice change from having the logo right on their chest, though we don’t know why they need it on their neck and arm to. We get it, their the Fantastic Four, we don’t need the reminder on every side we look at them. 4. 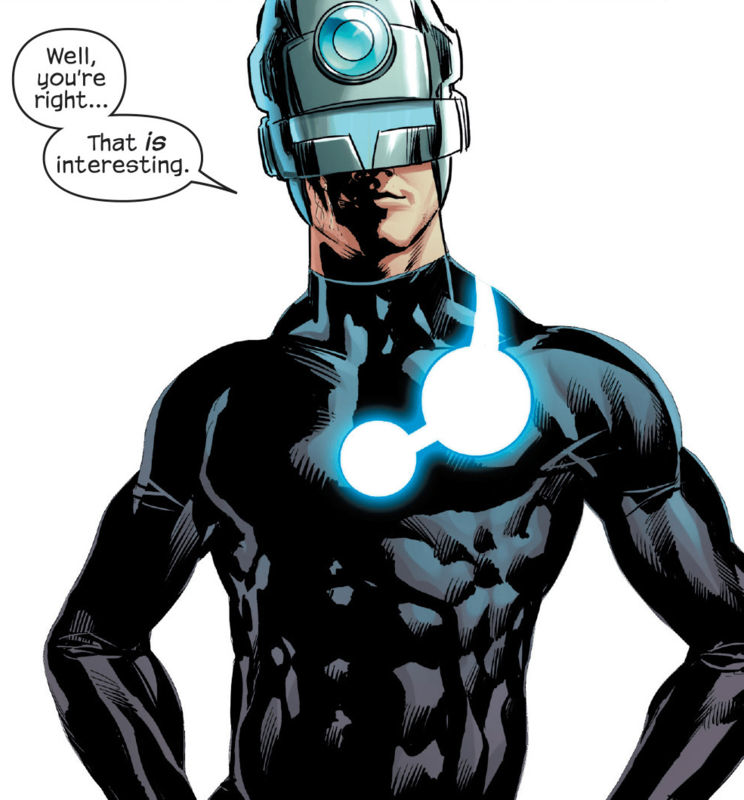 Maker: Apparently Ultimate Reed Richards and Havok share the same tailor. It is a simple, but pleasing design so you can’t blame either. Who doesn’t like something that lights up? His helmet could have been designed for Cyclops, but it’s different enough we won’t say he is completely trying to be the fourth Summers brother. The helmet does fit in well with his more villanous role in the Ultimate Universe, making Reed actually look pretty scary. That’s about the only time that’s happened. 3. 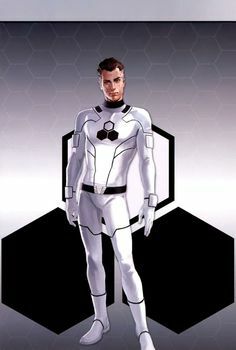 Future Foundation: In the 616, the Future Foundation costumes were easily the biggest departure from anything else the team has worn before. It made sense though, after losing Johnny they were in grieving and wore all white as is customary. Oh wait… Well at least they got some black in there, Johnny could be a bit of a jerk so good riddance anyways, right? The costumes certainly lived up to their name of future as they definitely looked like something from a future race. The new designs and logo worked together well for something very unique. While we were glad they didn’t were these for to long, it was nice to see a change from the blue for just a little bit. 2. Ultimate Universe: Before Ultimate Reed lost a few of his marbles and became all emo, he was just another fun-loving version of the older Reed we knew in the 616. The Ultimate costume was actually a great redesign of the classic suit for a modern era. It has the same feel to it, even keeping the logo right on the middle of his chest, but the new design scheme of the uniform breaks things up a bit with the dark blue ending for the lighter blue. It just has a more youthful look to it which matched the original aim of the Ultimate Universe perfectly. 1. Classic: There is just something about the classic costume on Reed. It’s a simple suit for a simple family man who happens to be one of the smartest men alive and roam around various universes on adventures. He doesn’t need much pizzaz, he just needs his family and his brains. Specifically we like the white trimmings opposed to the darker trimmings of other variations. It gives it a more wholesome feel that is what the Fantastic Four is all about. Short-sleeved Original: Who bought tickets for the gun show? Apparently after years of being the lanky professor type, Reed decided to buff out and what better way to do it then show off those muscles with a short-sleeved shirt. Then he can keep flexing like that for all to see until he pops a vein. It could have been worse. He could have gone full tank top, shorts, sun glasses, and sidewise visor to look like a total spring break douche. Lucky for us Reed has a little bit more sense than that. Alright, argue all you want that his classic look with short sleeves isn’t that bad or even much of a change. That doesn’t stop us from wanting to pull out the insults at him here. Still, it could be worse, it could be the costume from the new film.